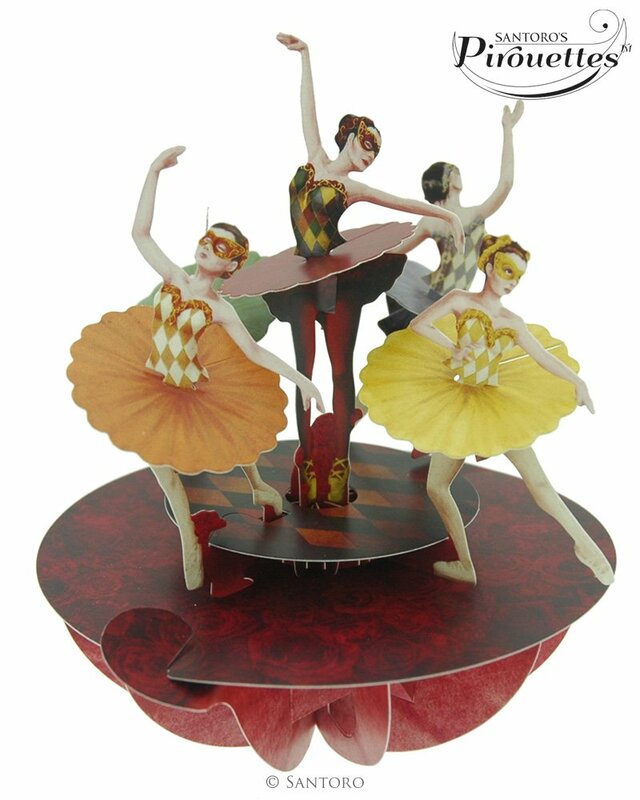 Nobody is going to throw these away or even put them away and they will stay on display forever! 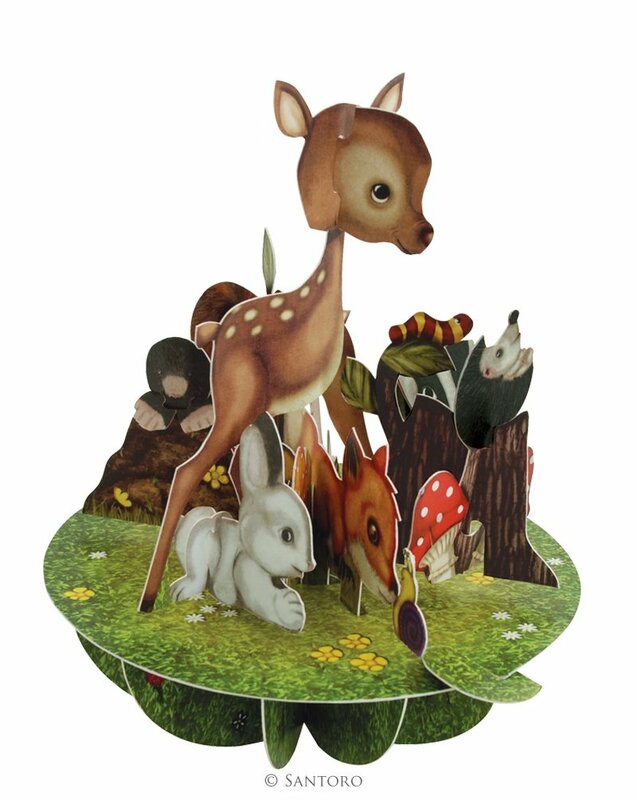 You will be remembered for sending one of these greeting cards as kids love these! 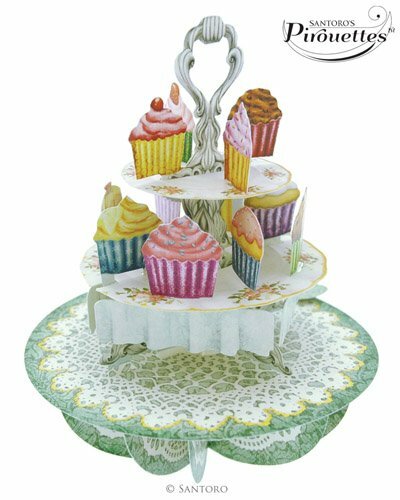 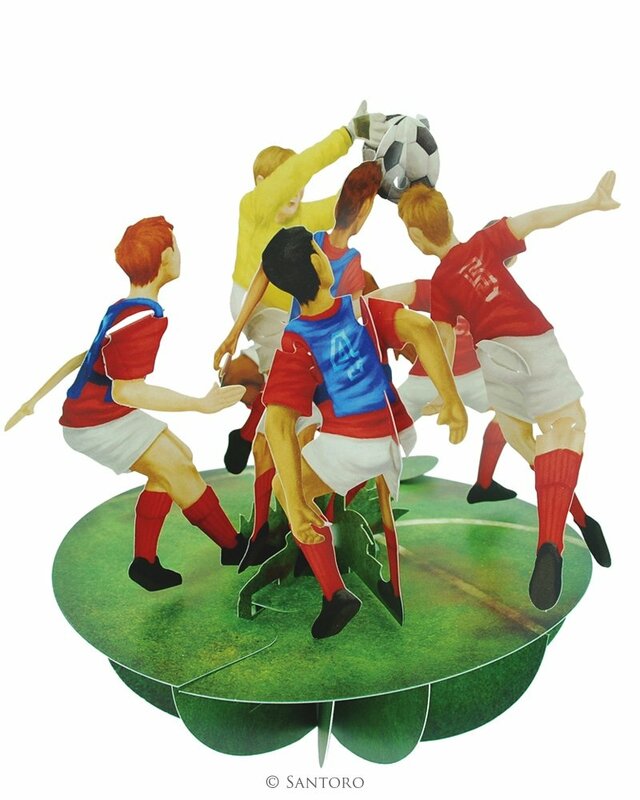 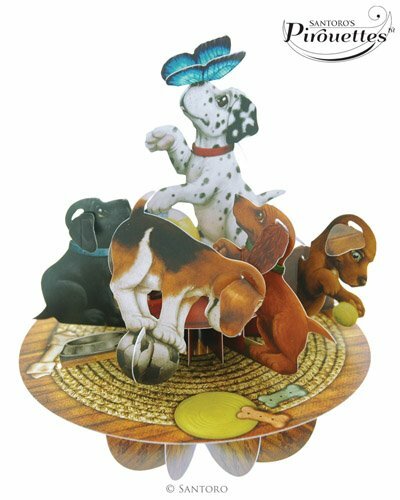 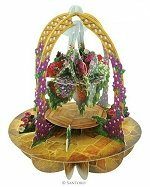 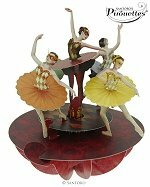 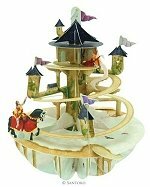 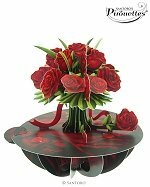 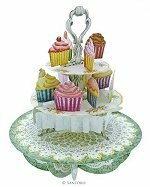 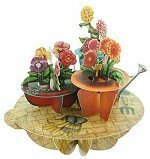 And you will make their day if you send one to anyone in the hospital or nursing home where the elderly find just as much pleasure as a child.With just a swish moving the little tab around the base until it locks, and the 360° paper scene comes to life. 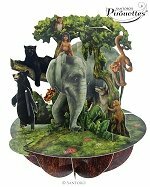 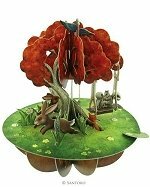 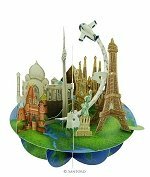 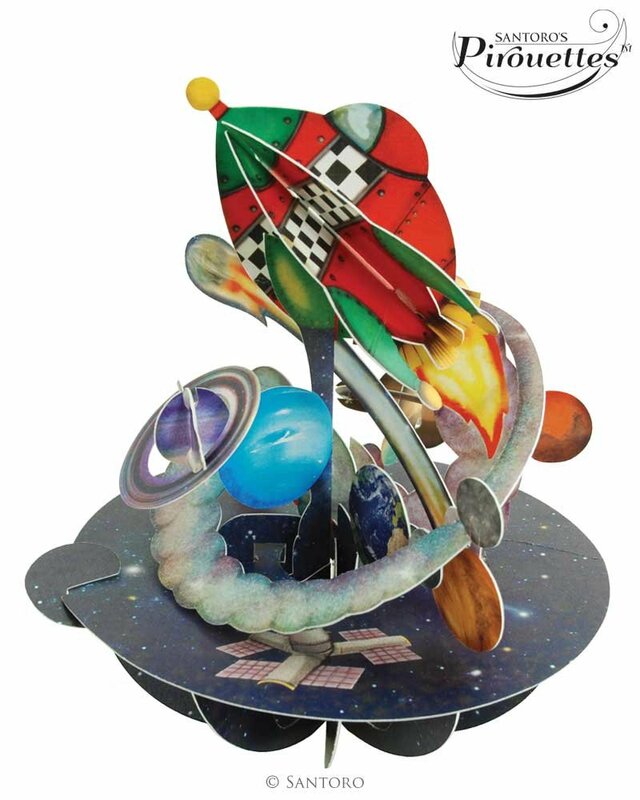 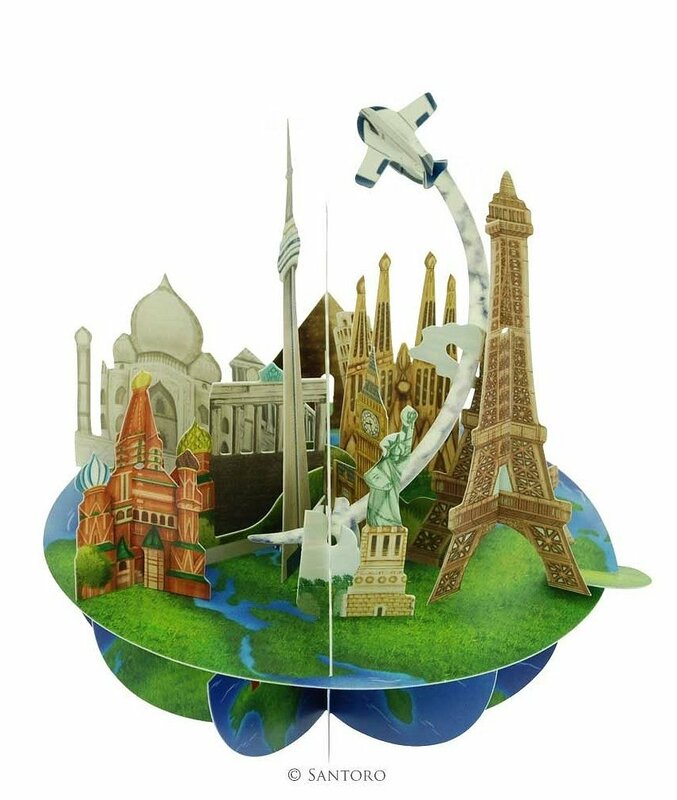 3-D Pop-ups will rock your world! 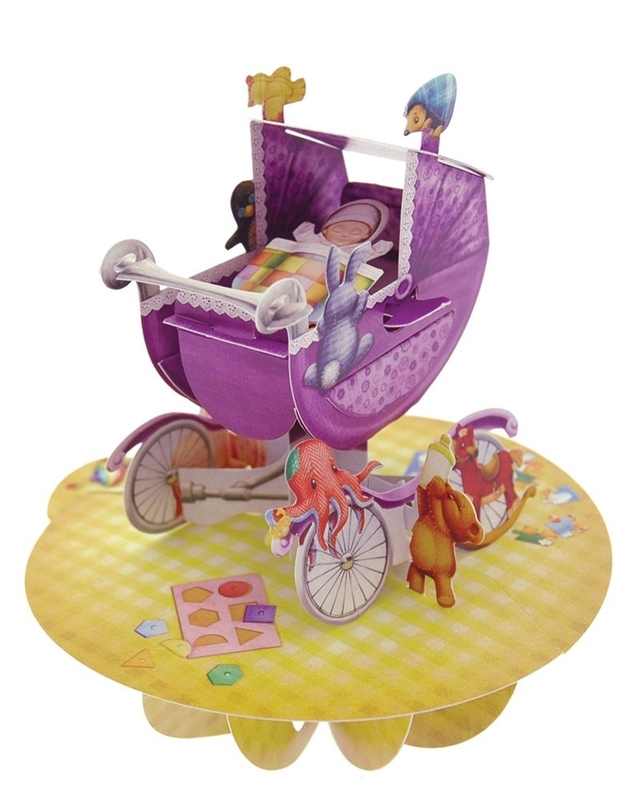 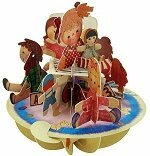 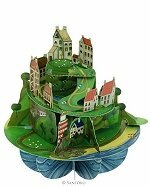 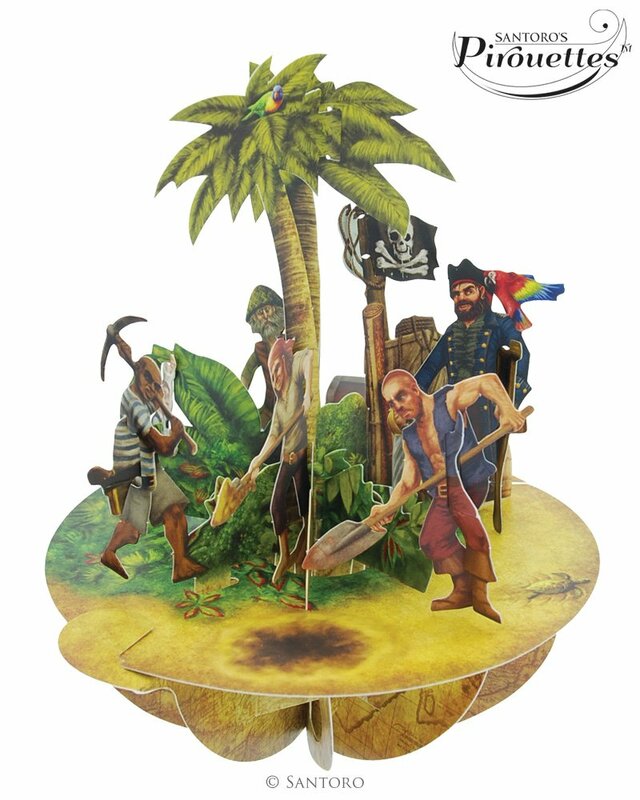 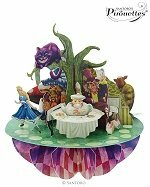 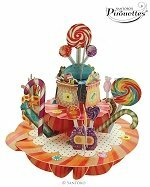 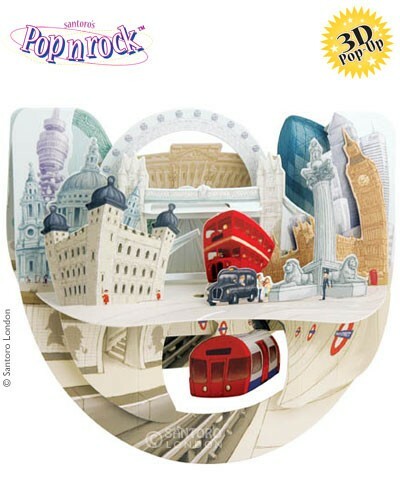 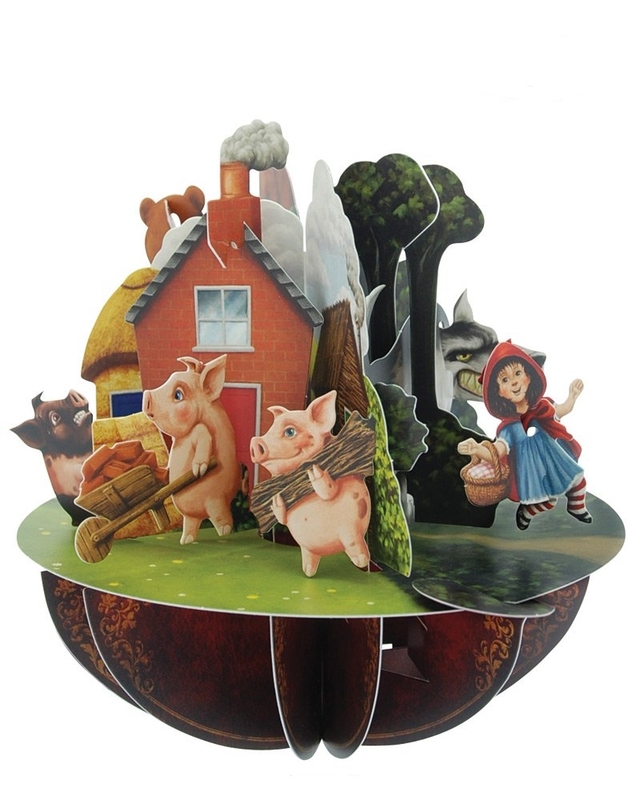 Popnrock are the latest 3D pop-up innovation from Santoro London's paper engineering division. 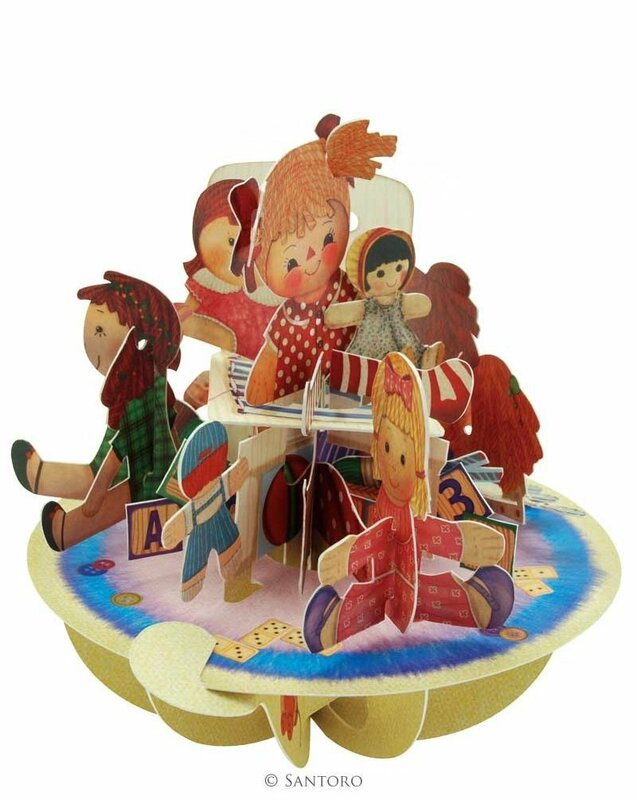 They are quite simply a rockin' revolution! 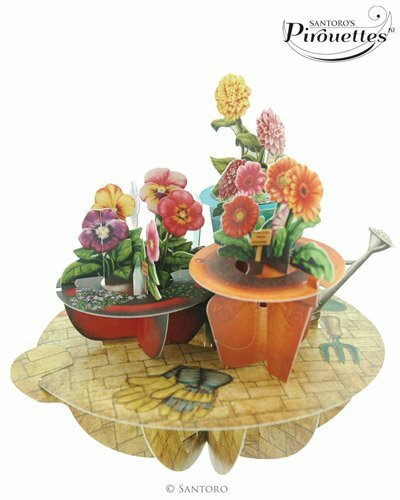 With a gentle nudge, the cards rock from side to side and they all feature a number of small moving parts which sway in harmony with the motion. 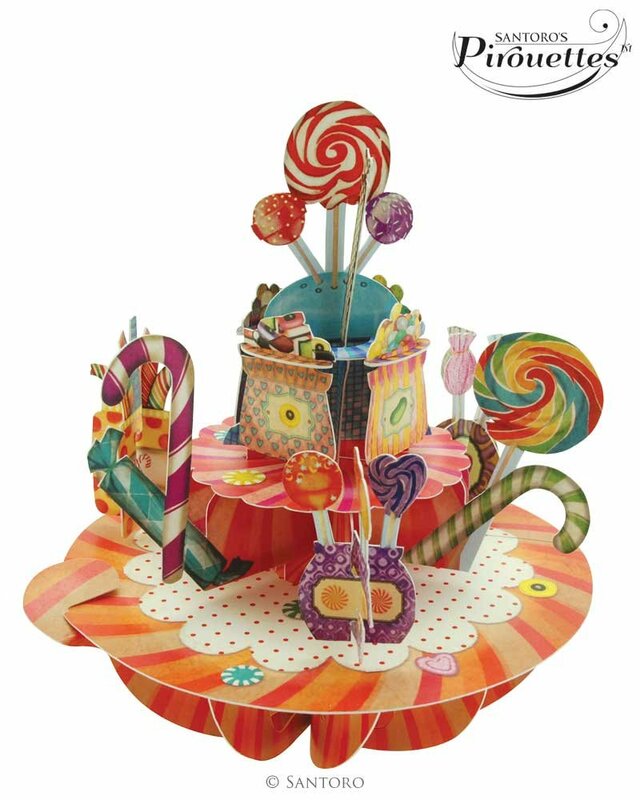 Designed to be displayed and treasured, a popnrock will proudly be showcased for a long time after other cards have been taken down and forgotten. 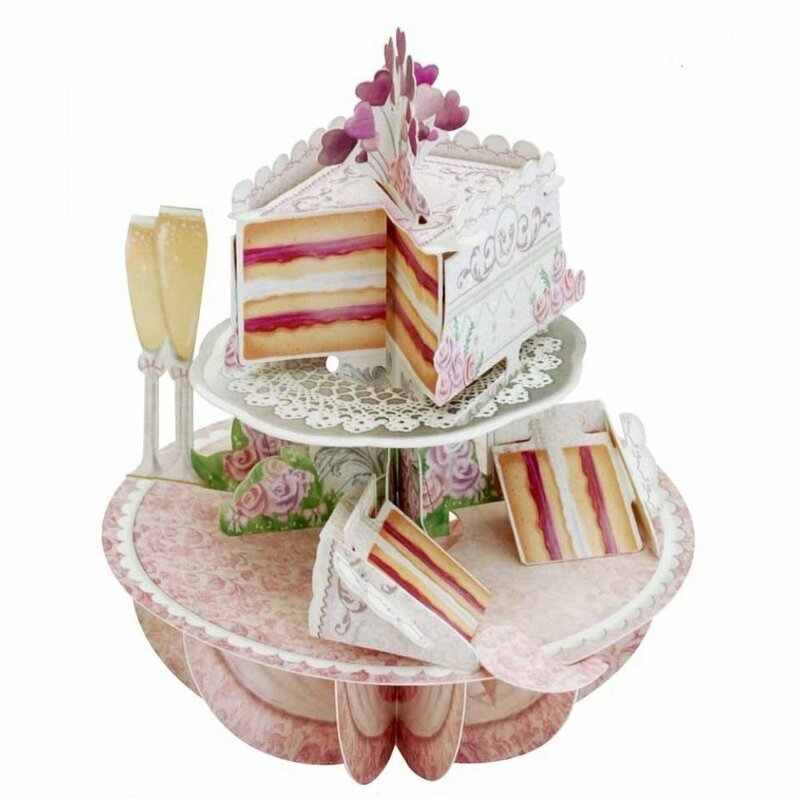 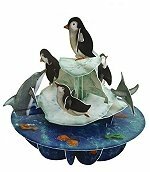 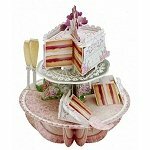 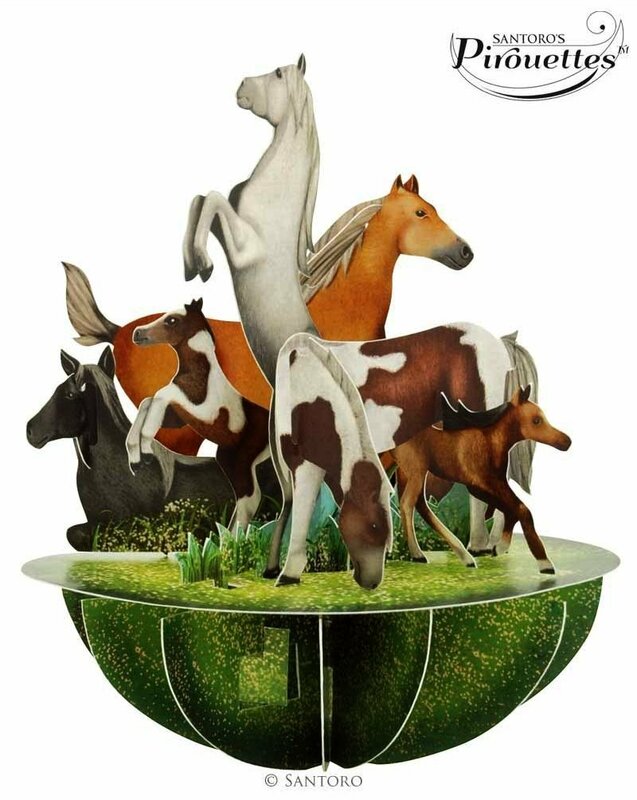 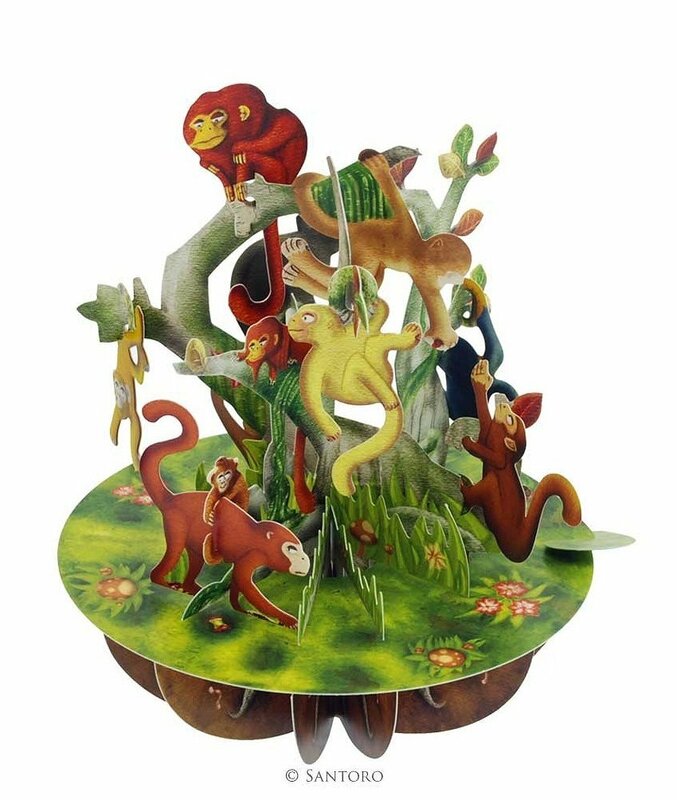 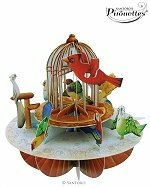 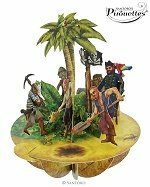 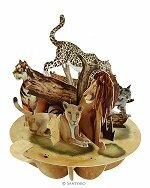 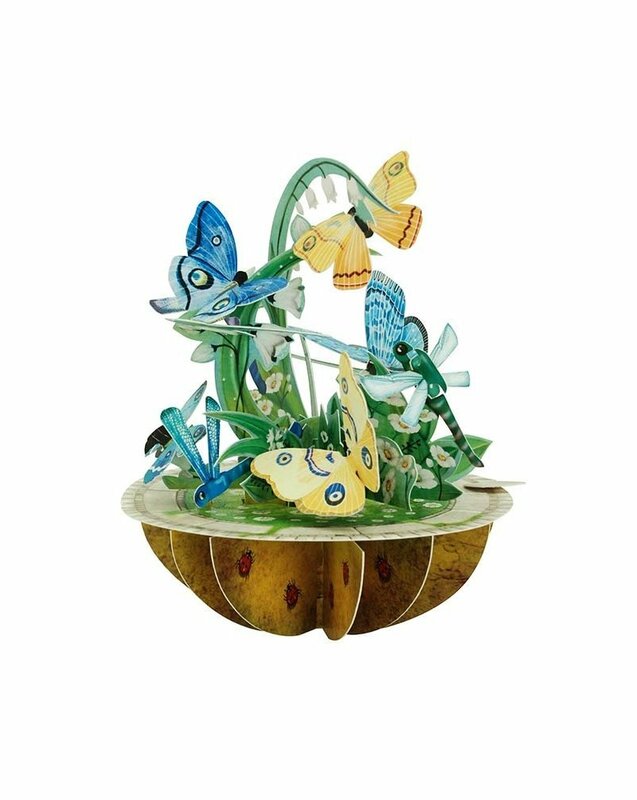 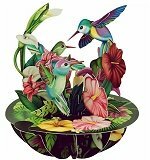 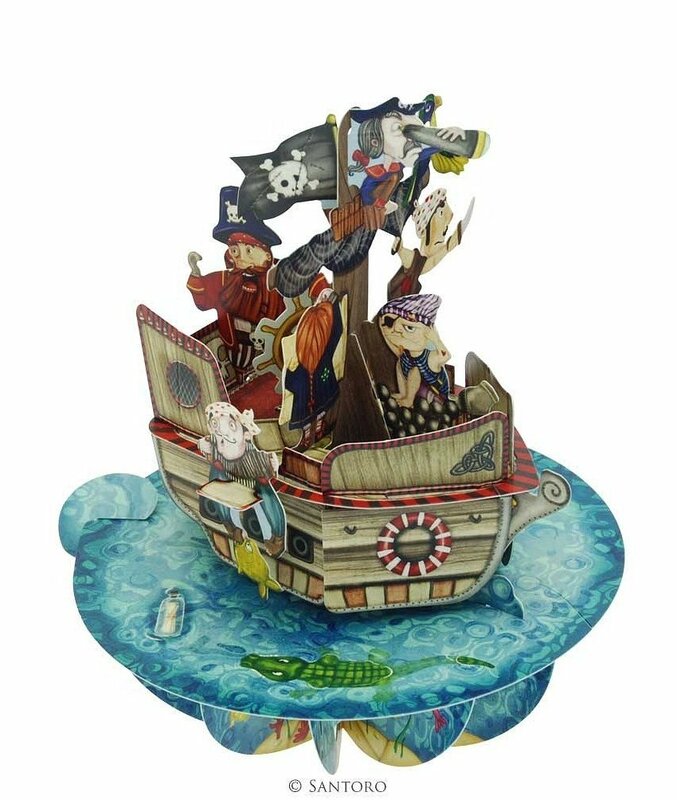 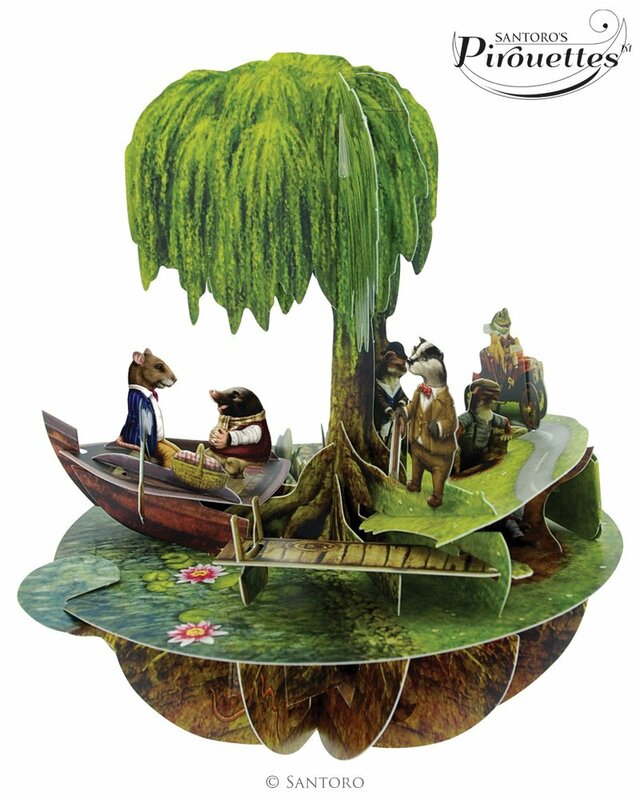 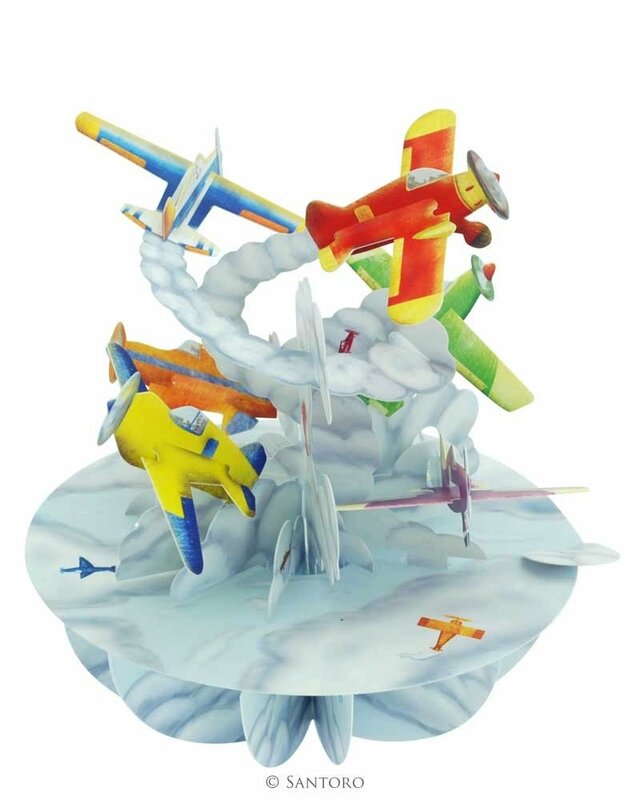 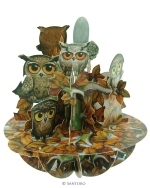 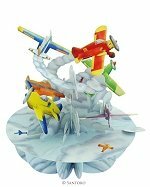 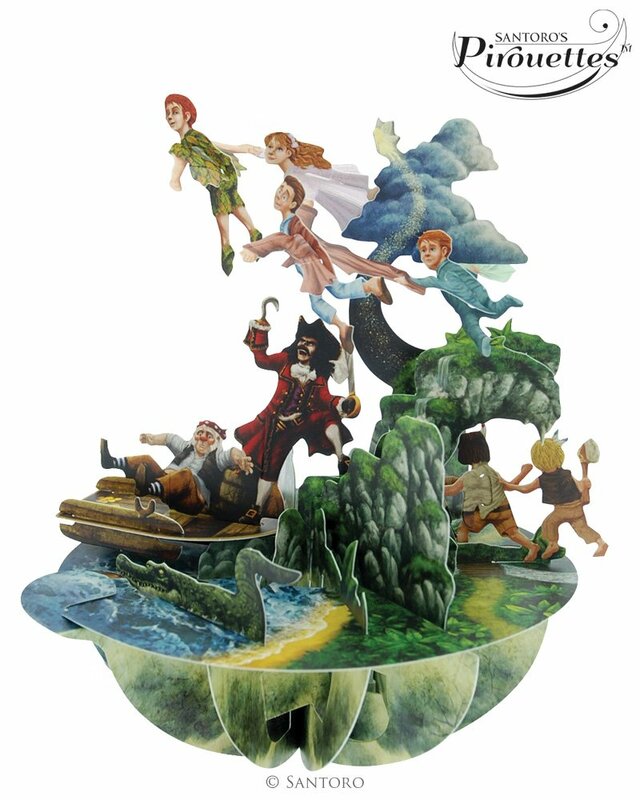 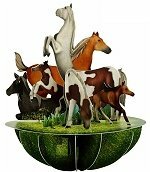 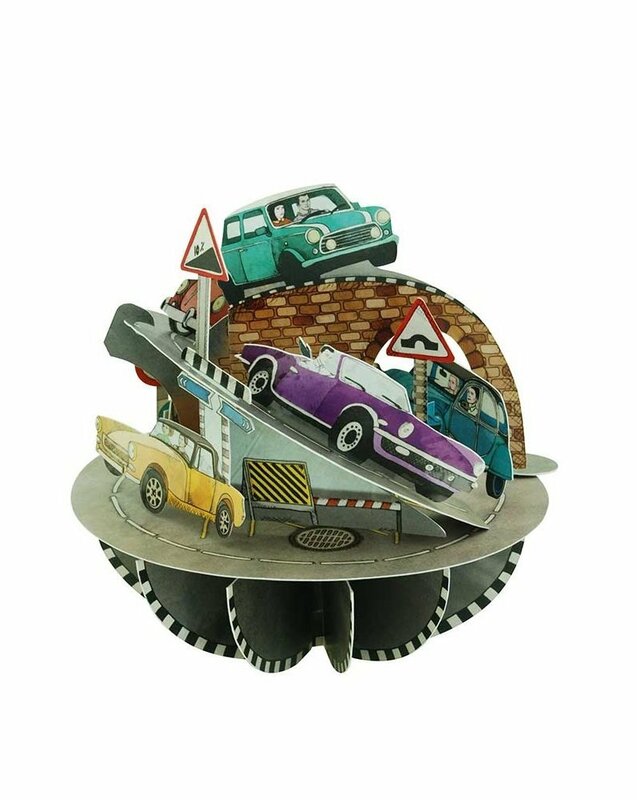 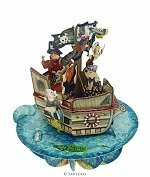 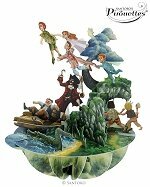 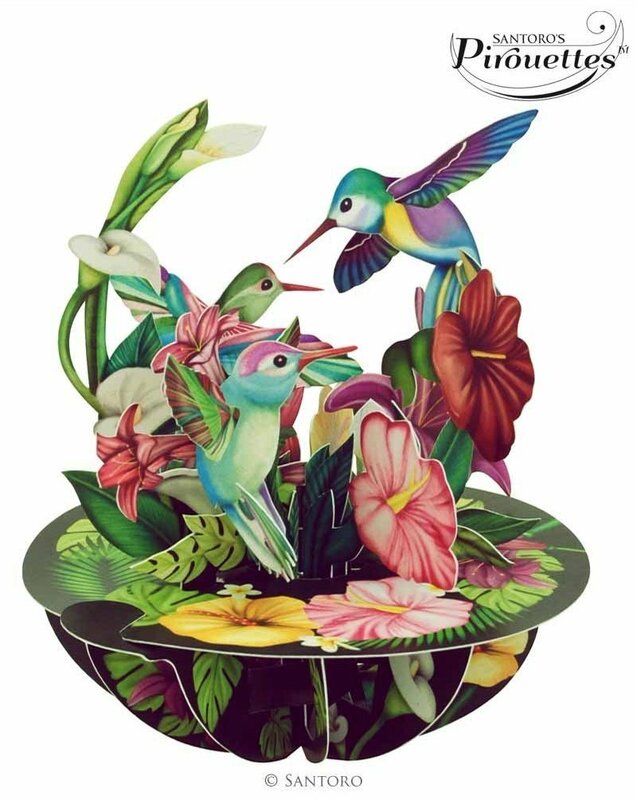 They are essentially beautiful paper sculptures making them the perfect paper collectable. 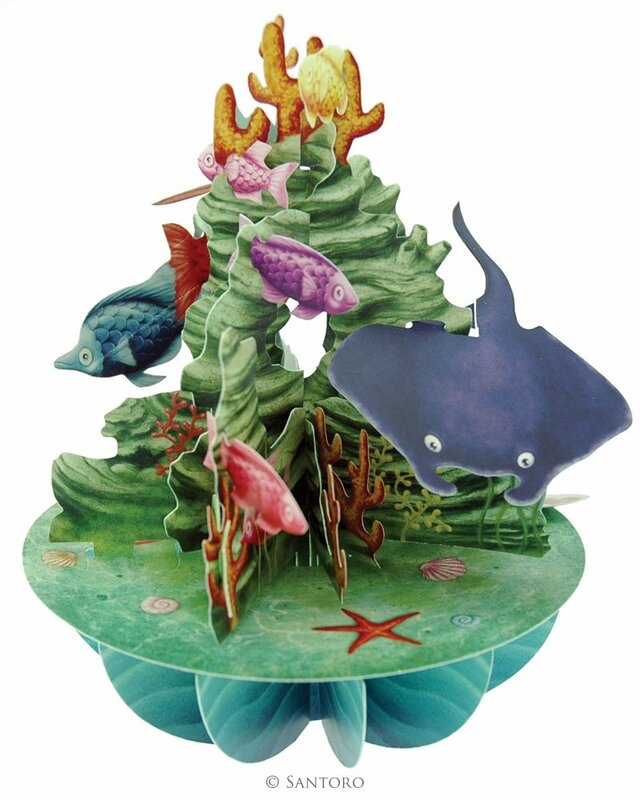 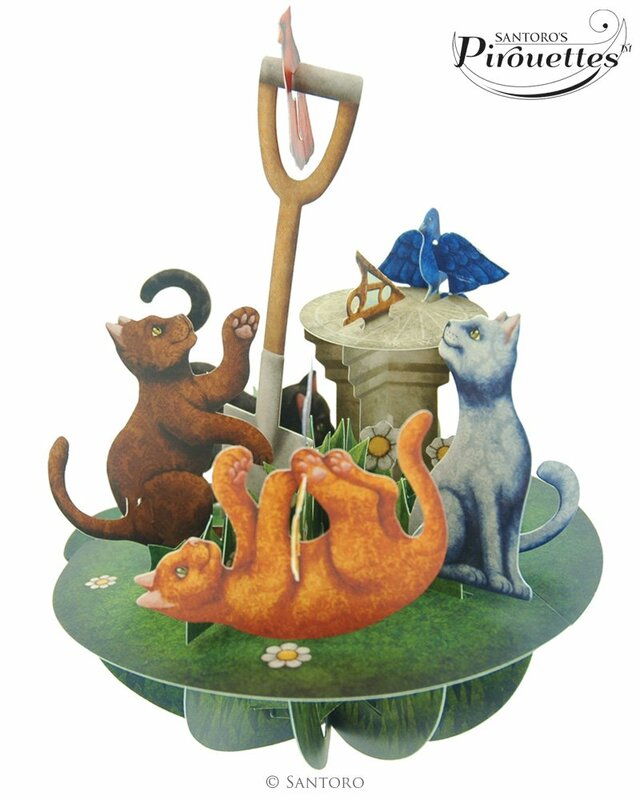 Beautifully illustrated and intricately designed, Santoro’s Cards are unique 3D paper engineered sculptures. 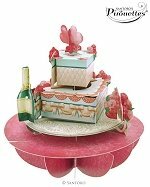 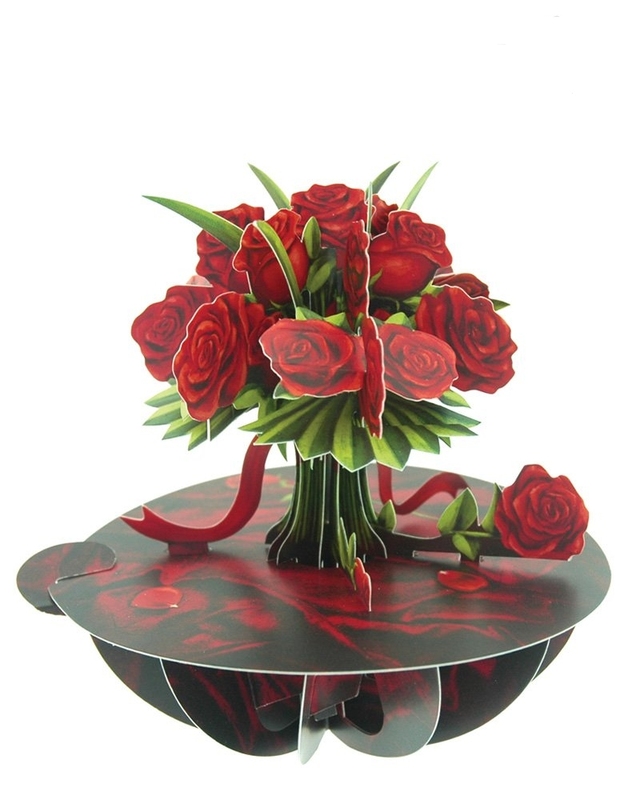 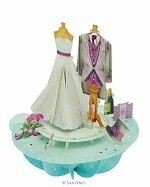 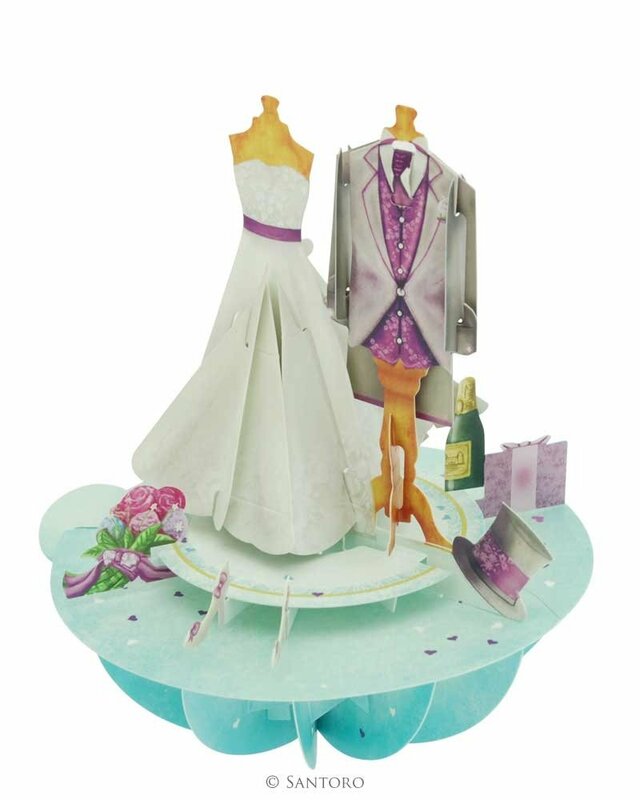 Their interactive designs showcase movement, making them both an imaginative and innovative way to send greetings.This delightful and unique card is sure to be cherished by your recipient ! 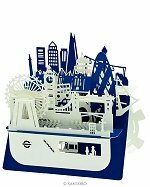 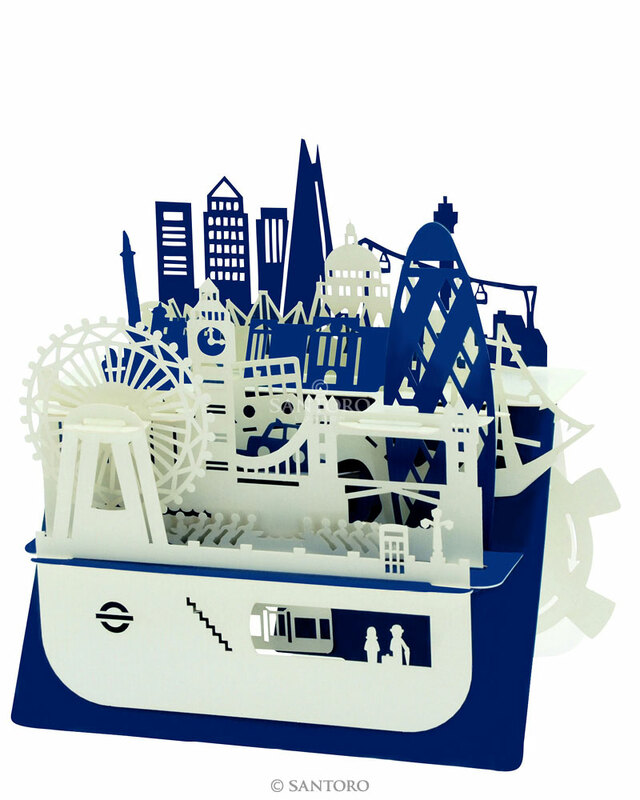 See the spectacular sights of London in this midnight blue clockwork Silhouart! 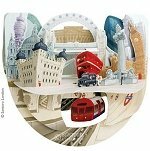 Featuring the London Eye, Big Ben, The Shard and even the infamous London Underground, simply turn the wheel on the card and experience the cosmopolitan city from inside any home!